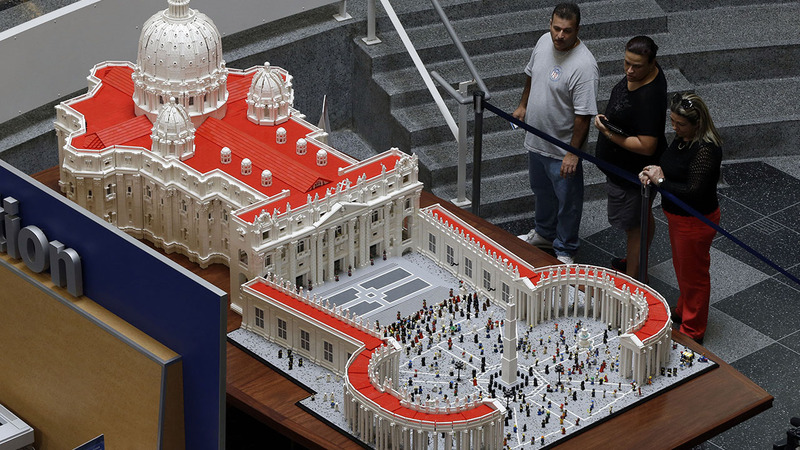 Signs Pope Francis' upcoming visit to the United States can be seen all over the city of Philadelphia, but this might be the most fun take yet on his visit -- a model of the Vatican built entirely of Legos on display at The Franklin Institute. The Rev. 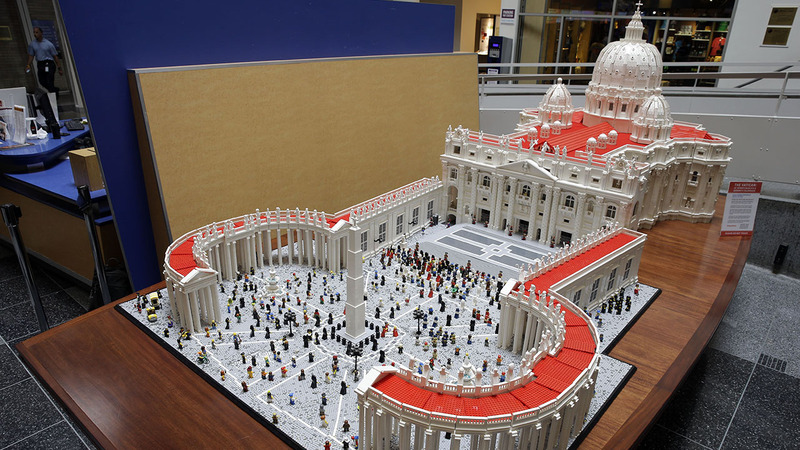 Bob Simon spent about 10 months constructing the mini St. Peter's Basilica out of a half-million Legos. 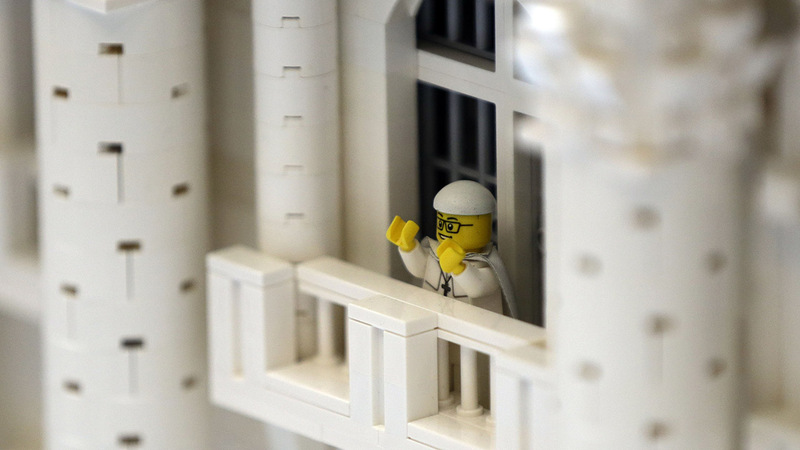 His architectural feat includes a Lego pope on a balcony overlooking St. Peter's Square, which itself is made up of about 44,000 Lego pieces resembling cobblestones. 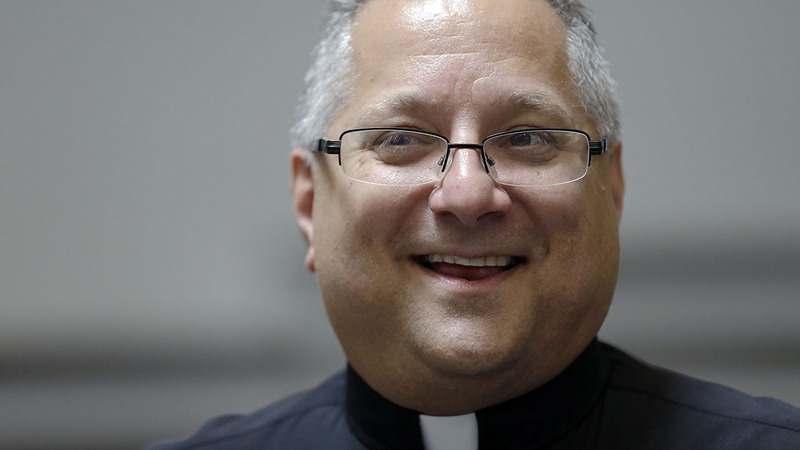 "It was daunting," Simon told the Associated Press. "It was an exercise in patience, and I was thrilled with the way everything came out." 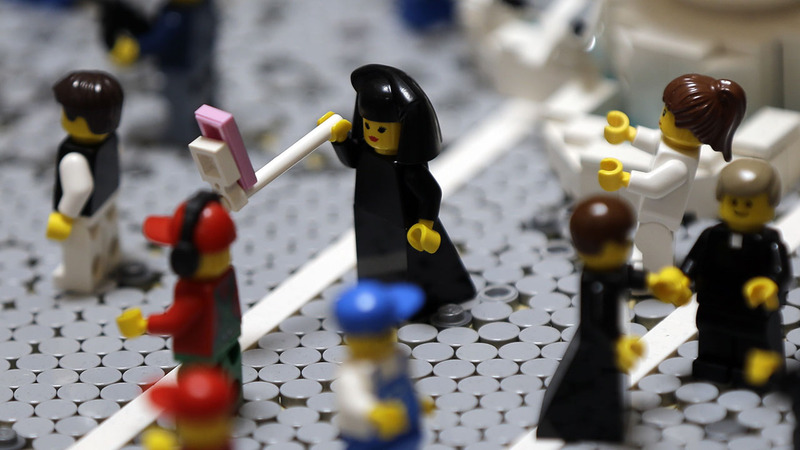 Since St. Peter's Square is rarely empty, Simon filled the piazza with all sorts of Lego characters, including a miniature figure of himself and even a nun with a selfie stick. 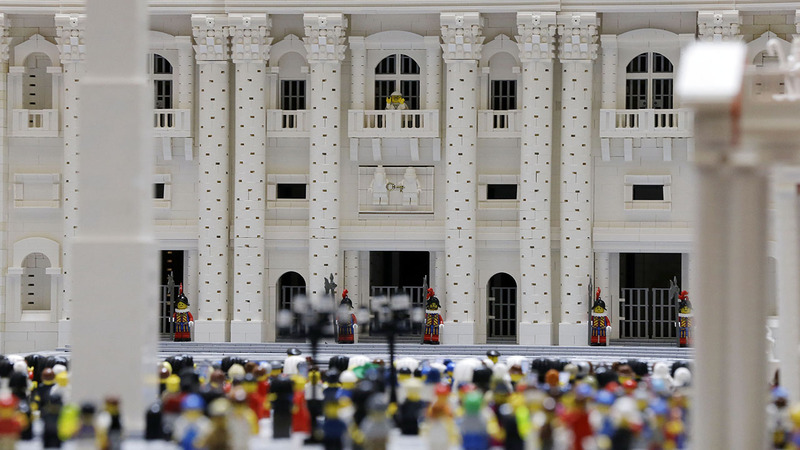 Simon's creation is being displayed alongside "The Art of the Brick," an exhibit of Lego sculptures, and "Vatican Splendors," at The Franklin Institute. While there are no plans for Pope Francis to visit the miniature Vatican, Simon hopes to see the pope at the papal Mass on Sept. 27.